Get Itel Mobile it is the second largest selling phone in Indian mobile phone market, according to recent CMR report. The smartphone race sales in India are getting lot of computation day-by-day. 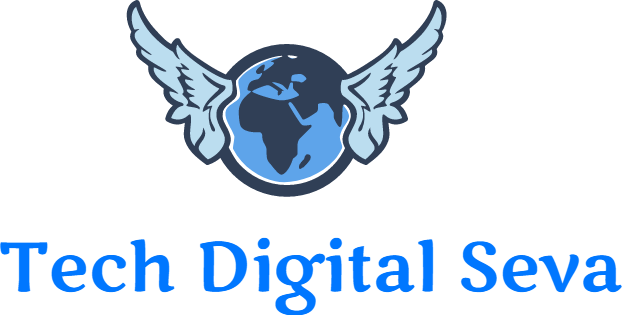 As most of the companies are putting efforts in making high specs phone in medium price point. Likewise, we are seeing dual cameras, bezel-less designs can now effort with a common price range. Lowering the price range with affordable and attractive, which makes customers to make most out of it. Itel mobile phones are even pushing their phones in market with very low price with high end specs. Itel mobile phone are now striking the Indian mobile phone market, with dual camera and fingerprint scanner available only for Rs. 5999/- only. For more detailed verdict check details here. As Itel mobile makers have all new smartphones every month, so it’s hard to keep track all the phones. Now, they have kept trend in mobile market by launching Dual camera & fingerprint scanner phone for just Rs. 5999/- which is really unforgettable. Itel mobile has opened up on Wednesday, about its new launch phone in india. As we have seen the reports Itel mobile was the second largest mobile phone selling in Indian market according to the CMR report. 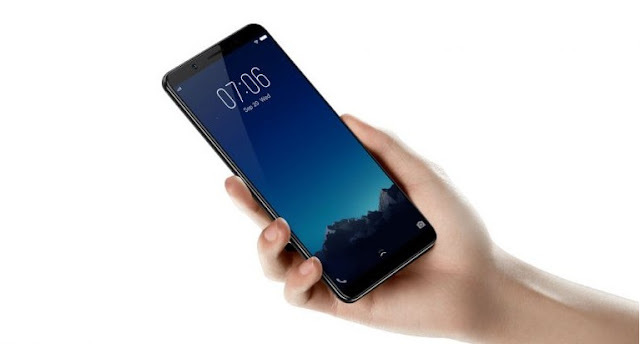 The manufacturer has good reputation in producing the effective budget smartphone, as their new smartphone also got all new features to give tough competition in mobile market. Itel mobile features dual camera with fingerprint scanner - $21, at this price range no other phone is providing these features. Hope this phone will not have any competition with other phones at this price point. Itel Mobile carries a 64-bit MediaTek quad-core processor under the hood, with 1GB RAM possessing 16GB storage capacity, which can be expandable. The batter consists of 2700mAh it can deliver up to 10 hours 4Gtalk-time and easily lasts a day on normal usage. 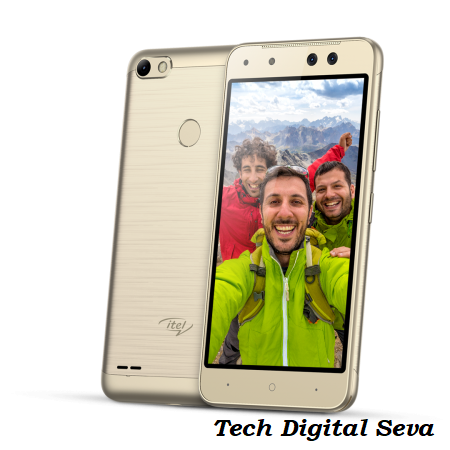 Itel Mobile handset comes with 5-inch FWVGA IPS display, an 8MP rear-facing camera, containing fingerprint scanner and mobile phone issupported 4G VoLTE & ViLTE out of the box. The phone has additional advantages of integrated Smartphone Manager, and possess all required sensor at this price point. For the above price point Itel Mobile not only giving latest spec but also advantages of Carl Care service support. This impressive phone can be brought for at Rs. 5999/-, the phone will be available in three colors Moonlight Sliver, Champagne Gold and Elegant Black. 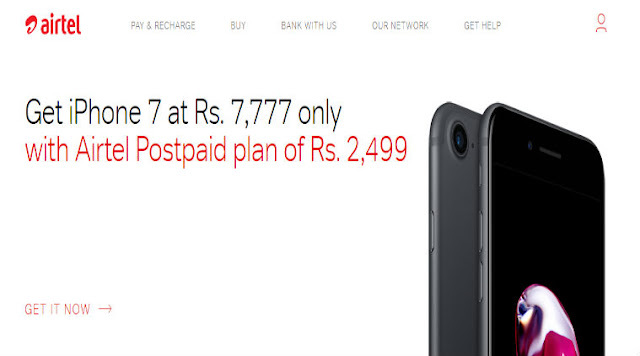 Tech Digital Seva: Now, you can own an Apple iPhone 7 Price for down payment of just Rs 7,777/- from any Bharti Airtel exclusive online store available from today. As a festive season Airtel has brought new plan to its customers. Along with New Apple iPhone 7, customers can avail additional data and Airtel’s secure packages, which covers the Apple iPhone 7 from lost/theft or any kind of damage with no extra cost. Buyers can use their secure payment through any bank card verification and instant financing also available with easy monthly plans at Airtel online store. This is an exclusive deal for buyers those who are looking to purchase Apple iPhone 7 (32 GB variant), if we see Apple iPhone 7 price in India its cost around 50 thousand above. Here in Airtel store customers can avail New Apple iPhone 7 Price for just Rs 7,777/- exclusively. Also Check: Check New Apple Iphone 8 Features. The Airtel Company has announced today officially that Apple iPhone 7 (32 GB) variant will cost for Rs. 7,777/- and 24 months installments of Rs. 2499/- each. The premium smartphone will come with Airtel data and calling pack, which is career locked till the contract period as stated by the Bharati Airtel. 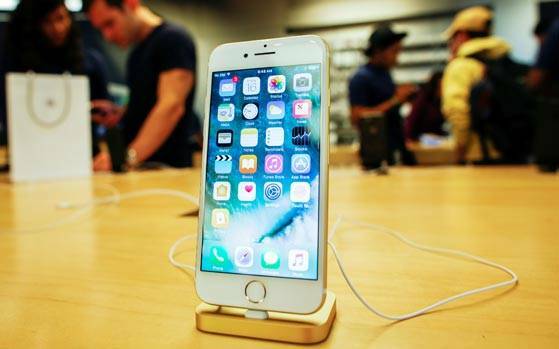 This season consumers who are interested to purchase Apple iPhone 7 in India can get from Bharati Airtel online store exclusively. On a Digital innovation program Airtel Online has launched Apple Iphone 7 launch in its store. Keeping in mind and value of customer experience across of its services and touch points. Bharti Airtel Stated that it has invested around Rs. 2000/- crore under Project Next. In this digital platform integration, consumers can upgrade their old smartphone with premium New Apple Iphone 7 32 GB variant. Those who cannot effort with total sport cash, can they avail easy financing schemes and purchase it airtel online store. Compare to other online market stores and Apple official store, Airtel online store is providing best scheme under its digital platform with the success of Apple Iphone Seven 32 GB variant. They will introduce many more offers with same facility and easy monthly installments. Airtel combines with Apple iPhone 7 Launch in Airtel Online Store live from today. On interview with Harmeen Mehta, Global CIO & Director – Engineering, Bharti Airtel said, this is additional digital innovation from Airtel to delight customers. This is not only help customers to upgrade their old smartphones with premium Apple Iphone 7 Price at Rs. 7,777/- only with lot of benefits. Imagine getting your dream Airtel Iphone 7 Apple branded phone for just Rs. 7777/- with easy monthly installments and instant credit purchase exclusively on Airtel Online Store. So, without waiting further grab your New Apple Iphone 7 32 GB variant before stock gets out. Airtel company, thanks its partners for support to its digital integration. At the beginning of the year the dual camera trend came into lime light and all the smartphones are implementing the Dual Cameras in rear side of the mobile. While Vivo is expert producing Selfie expert camera, they have introduced the Dual Front Camera in market and got hype. After Launch of Samsung Galaxy S8 and LG G6 Smartphones, there is trend from edge-to-edge display. Whereas, LG Q6 also adopted edge-to-edge display in midrange smartphones following with Micromax Canvas Infinity. Now following the same trend Vivo Joined is hands and implemented edge-to-edge display in its feature phone Vivo V7 Plus. So, in your VIVO V7 Plus review let’s look into camera, music, which are heart of the Vivo smartphones. Let’s get into details speciation’s of Vivo V7 Plus Smartphone. Vivo smartphones are meant for the selfie lovers, considering the selfie pictures vivo has added 24 MP front shooter camera in VIVO V7 Plus. In Vivo 7+ we have tried multiple selfies in different lighting conditions and it took images “lively”. Vivo V7+ rare camera has a 16MP shooter which can handle better job than the front camera, which is a huge advantage in this price segment. When we took some close-up shoots in day light condition the pictures came put very brilliant. And same when we tried in indoor lighting condition we say some minor lack issues and observed grainy in pictures. Considering the price point it would not any issues for selfie lovers. As the Vivo V7 Plus will come in a large 5.99-inch IPS LCD display panel the aspect ratio will be 18:9 edge-to-edge display. You would have noticed in TV Advertisements and images in review, the Vivo V7+ will be having thinner bezels and higher screen-to-body ratio. Comparing to other 5.5-inch display phones Vivo V7+ cannot handle in one hand. But it will be great experience to watch movies and pictures on the full display. The body was constructed with metal which feels like premium feel, when we hold in our hands. As per the price point Vivo has done a great job with the build of the phone and keeping antenna lines in format. Other features like USB Type-C port, Finger printer sensor and many more features added in Vivo V7 Plus Smartphone. Also Check: OnePlus 6 Launch in India 2018. 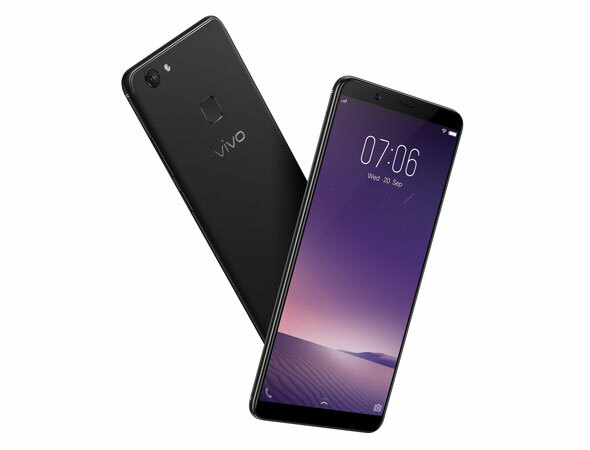 Though Snapdragons 450 chipset is not a very power full in current market and taking into consideration 5.99-inch display will all apps running throughout the day Vivo V7+ smartphone survived a day. Gaming and camera usage may swipe the battery juice so quickly. So, this phone we won’t recommend for gaming lovers, as it best suits for selfie lovers. The 3225mAh battery with 450 chipset, which supports fast charging may not affect in hectic time. Considering the price point user can enjoy the 24MP selfie pictures on 5.99-inch full display with 18:9 ratio. This a good featured phone for camera lovers, and with fast charging facility user need not worry in busy schedule time. Regarding the UI in Vivo V7+ has also got great changes compare to its earlier devices. Vivo V7+ smartphone is a deal breaker for this price point and lot of new features. Use below link to Buy Vivo V7+ at 20% discount price. OnePlus has recently has launched its flagship phone OnePlus 5 in June with the great success ahead. Everyone is expecting that company might launch its next version OnePlus 5T as they earlier did with OnePlus 3T after the launch of its OnePlus 3 Smartphone in India. Thinking about the competition in market OnePlus has decided to come up with refreshing look. They are about to cancel the planning of OnePlus 5T and focusing on OnePlus 6 launch in India 2018. This will become their big turn after the big success on OnePlus 5 launch in India. 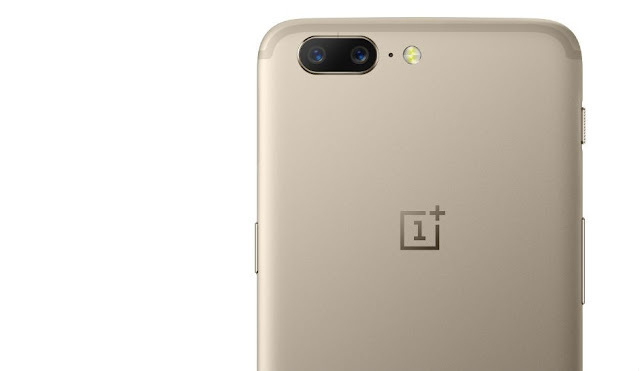 As there are rumors spreading that OnePlus 5 Smartphone coordinates with IPhone 7 design, which is a backdrop for OnePlus. As, OnePlus 5 does not have any refreshing looks like its earlier flagship smartphones. So, they have decided to move with OnePlus 6 launch in India 2018 with fresh looks. However, there are no information revealed by the company regarding the OnePlus 6 Specifications. As compare to the earlier flagship smartphones, Oneplus will offer the latest snapdragon processor in its Oneplus 6 Smartphone. Actually Oneplus 5 phone has launched recently in India and it’s too early to assume about the OnePlus 6 Specifications. According to the source working in OnePlus company we have basic information on the Oneplus 6 Specifications and its material design. 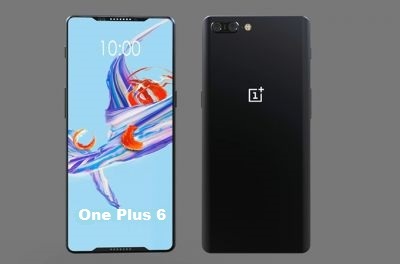 OnePlus 6 Smartphone will come all in all new design for this generation to give tie to its competitors. On the other hand, OnePlus would come with Bezel-less screen with 5.5 inch display and its sport 18:9 ratio. OnePlus 6 display will come with Gorilla glass display protection with high durable function, and supports QHD resolution. Improving the display will be the game changer for OnePlus 6 Smartphone. Regarding, processing power OnePlus 6 phone may utilize the New Qualcomm Snapdragon 845 processor. As OnePlus 6 will be the flagship smartphone they would coordinate with Qualcomm Snapdragon for their flagship smartphone Oneplus 6. However, other flagship smartphones also getting tie up with Qualcomm Snapdragon for their next flagship smartphones. The OnePlus 6 Smartphone Ram management will be 6GB and 8BGB following 64GB and 125GB internal storage. However, OnePlus 6 performance will be in top-notch compare to other high branded smartphones. OnePlus 6 Smartphone price India 2018 will be same as their earlier flagship smartphones OnePlus 5. Keeping in mind, that where they have failed in OnePlus 5 they are going to make major improves in OnePlus 6 phone. Coming to camera department, OnePlus will always give good competition to all its competitors. Comparing to the price point OnePlus 5 has dual camera function and provide high picture quality in low light and day light as well. We can expect same with the OnePlus 6 phone with dual camera functionality and video recording 4k feature with OIS functionality. The OnePlus 6 mobile will have Quick charge 3.0 feature and Type-C usb port for charging port. OnePlus 6 launch in India 2018 early 1st quarter as expected, the source close to OnePlus 6 have informed that OnePlus will launch soon not like its early smartphones. Meanwhile, OnePlus 6 phone will run on latest Oxygen OS in it and comes with the latest android OS running as on date. OnePlus 6 Price in India 2018 will be around Rs. 35000/- approx. As, compare to the specifications given by the company the price will be negotiable at the time of launch. Apart from all of this OnePlus 6 launch in India 2018 will be done before the month of June. More updated details will be posted here stay tuned. Nokia 3310 has got all new features in this era, the new edition Nokia 3310 has got 3G feature for 2017 edition. The earlier Nokia phone has got all the features but was lagging with the data usage, as the current generation 2G data is pathetic. Considering this Nokia has launched Nokia 3310 3G 2017 edition to rectify its missing feature in previous edition. As the New version Nokia 3310 3G will be available in market around Rs. 4600/-. Nokia 3310 3G variant will available as a global version for EUR 69, the phone will strike local market soon. 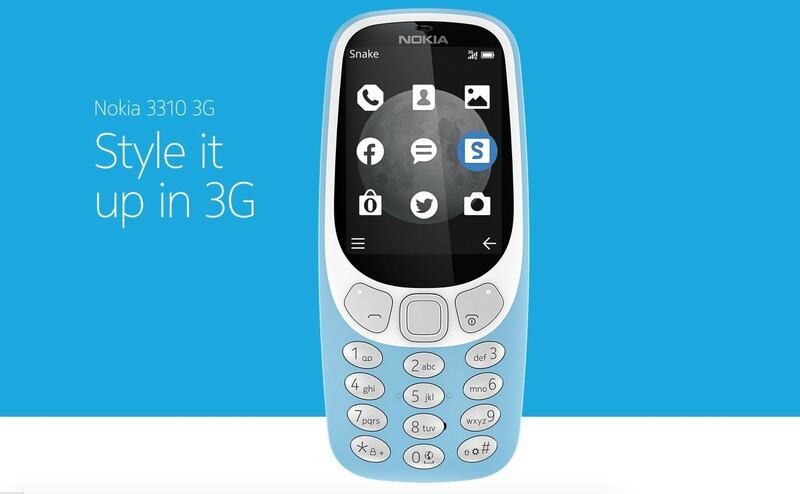 The new version of 3310 3G will provide high speed internet compare to old generation phones. Nokia 3310 3G got announced by HMD Chief Marketing Officer Pekka Rantala, he has claimed that they have got succeed to sell a million units of reinvigorated Nokia 3310 (2017) mobile phones. They have successfully sold out their phones in Global market. Excluding 3G connectivity, Nokia 3310 has all features like Bluetooth connectivity 2.1 version. Veteran games which are very popular on Nokia phones classic Snake game with new looks available. Micro-USB was included for file transfer and phone charging facility. The New Features which adopted for Nokia 3310 3G New 2017 variant are 2.4-inch QVGA color display. Nokia 3310 3G OS operated on JAVA and internal storage will be limited to 64MB, which can be expandable up-to 32GB. Camera consists of 2MP with LED flash along with long-lasting battery. Nokia phones are meant for long battery life, Nokia 3310 3G consists of 1200mAh battery with 24 days of standby mode for dual-sim variant. Currently in India Nokia 3310 2G variant is going on sale for Rs. 3310/- as of now Nokia has not revealed the 3G variant price. Soon Nokia 3310 3G new 2017 price will be revealed by its sources, and we will update here. As Nokia 3310 3G will not come with 4G LTE feature, so jio customers need to step back if they are looking to buy Nokia 3310 3G New 2017 phone. As of now Jio is working with 4G LTE network which is advanced than 3G network. And currently mobile operators are providing 3G/4G data and same price. Customers who already adopted Nokia 3310 2G variant have to settle with limited data, only added benefit in new edition is 3G feature for High-speed. Also Check: New Nokia 8 Smartphone, GST Effects? Its users decision whether to settle with New Nokia 3310 3G variant or go for any other featured device. As Nokia providing all new cool features and very own trusted device in market since years. The manufactures have given strong body like earlier devices. Before going to purchase Nokia 3310 3G new 2017 phone check your usability and go for it.